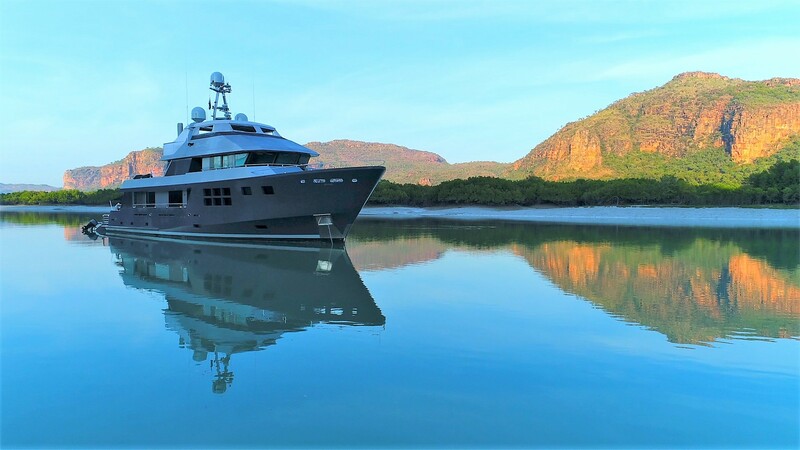 AKIKO (Ex VvS1) is a 32.40m (106' 4") tri-deck expedition style motor yacht which was built by world famous Alloy Yachts and was launched in 2007. 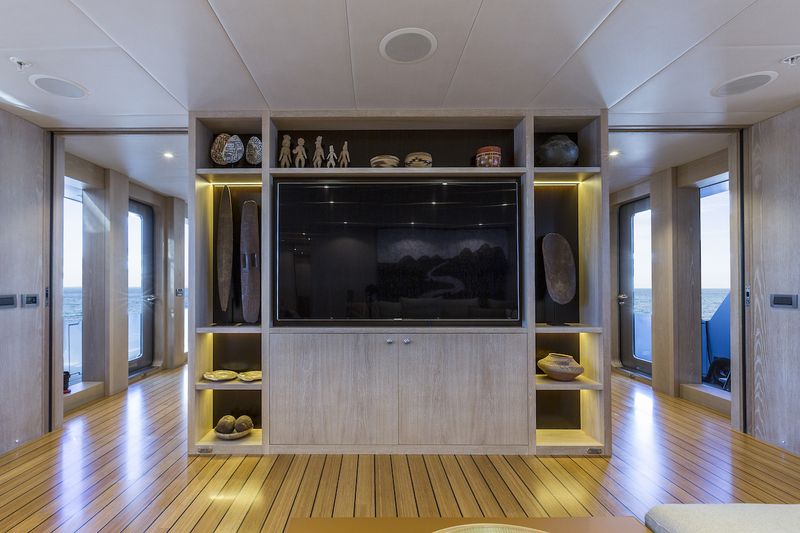 The interior timber joinery is of American white oak panels with a white stain, and finished with the grain exposed and slightly raised. 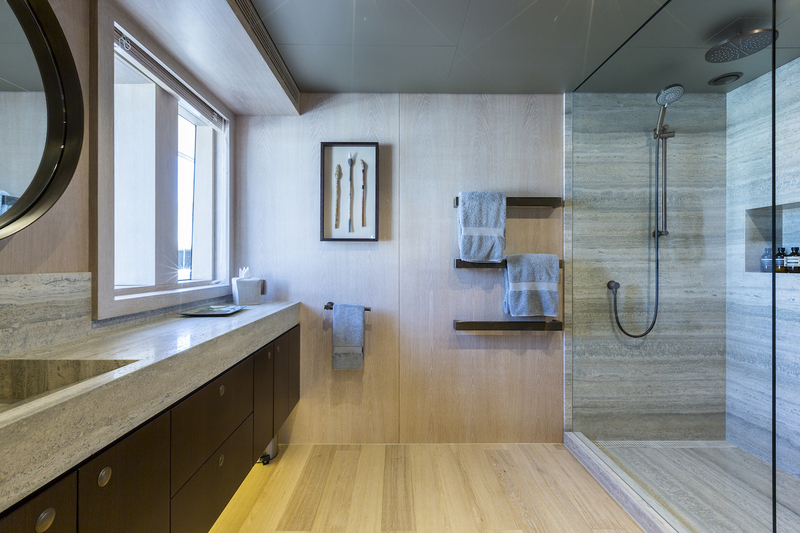 Wenge cabinetry is featured throughout the guest areas. 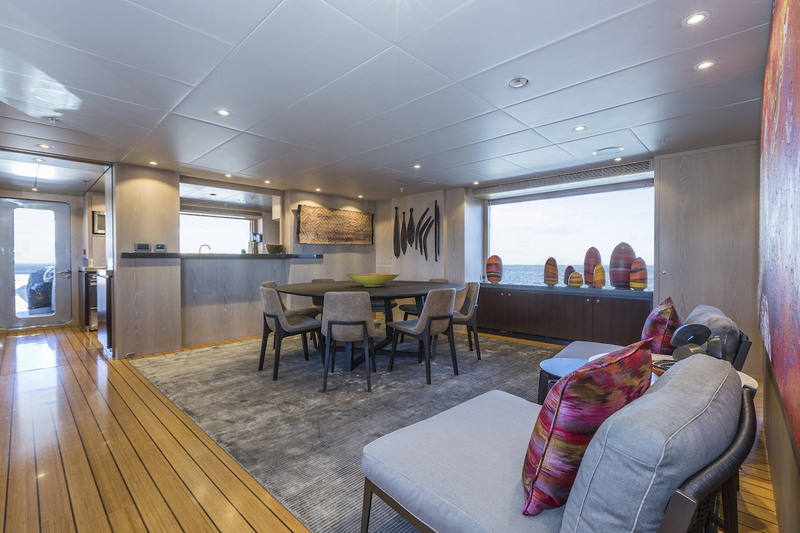 The bamboo interior soles are laid in 90mm planks with wenge inlays and matt finished. 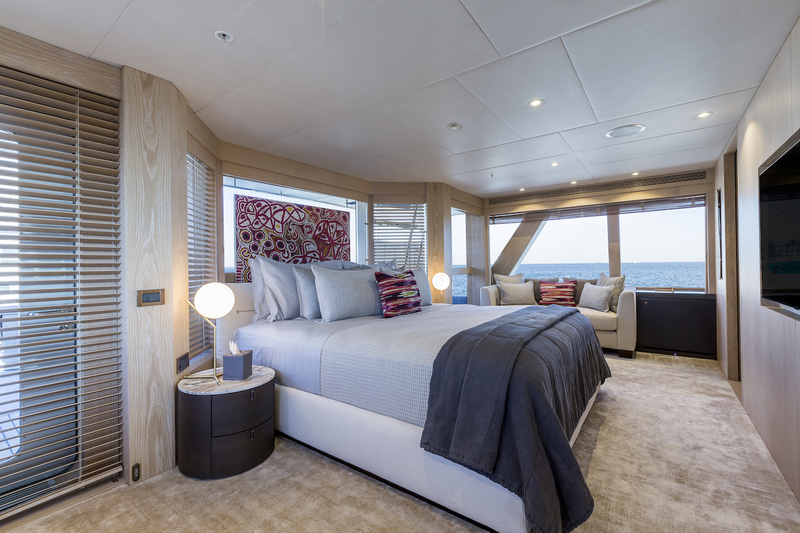 Her accommodation includes a master suite on the bridge deck, 1 VIP cabin on the main deck and three guest cabins forward on the lower deck, all with en-suites. 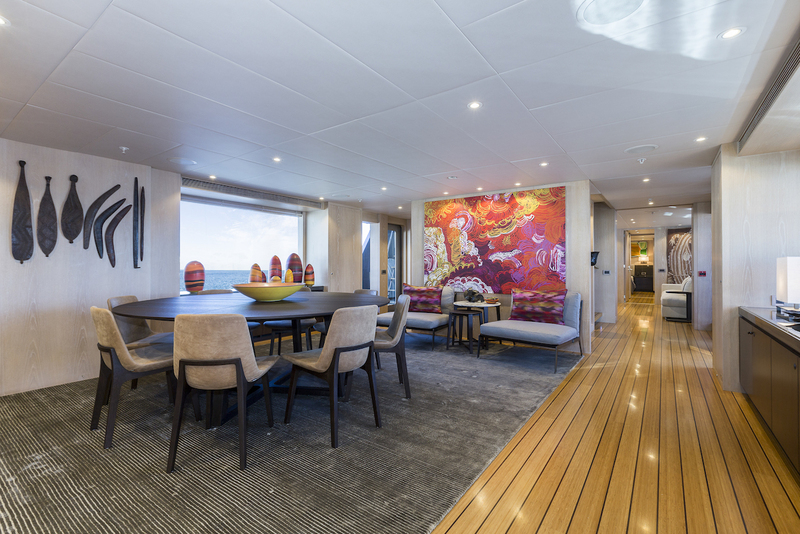 The yacht’s luxury saloon and dining area for ten guests are on the main deck. 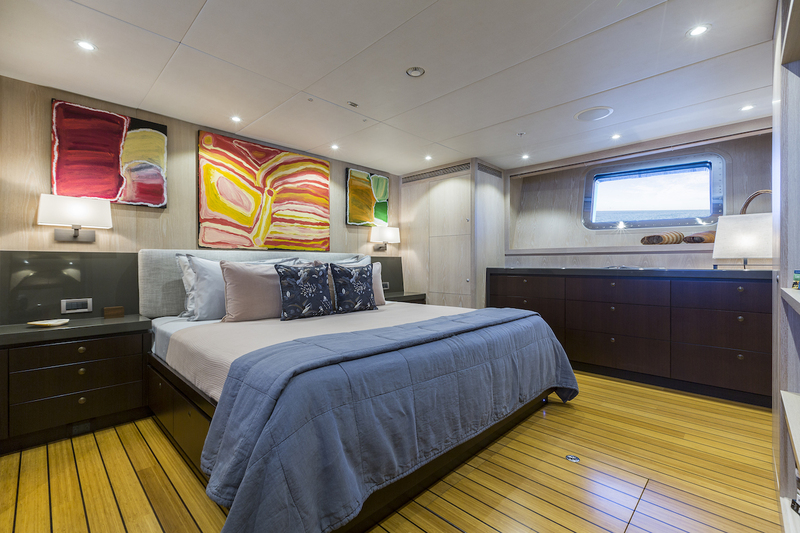 The galley is situated on the main deck between the dining room and aft deck dining area. 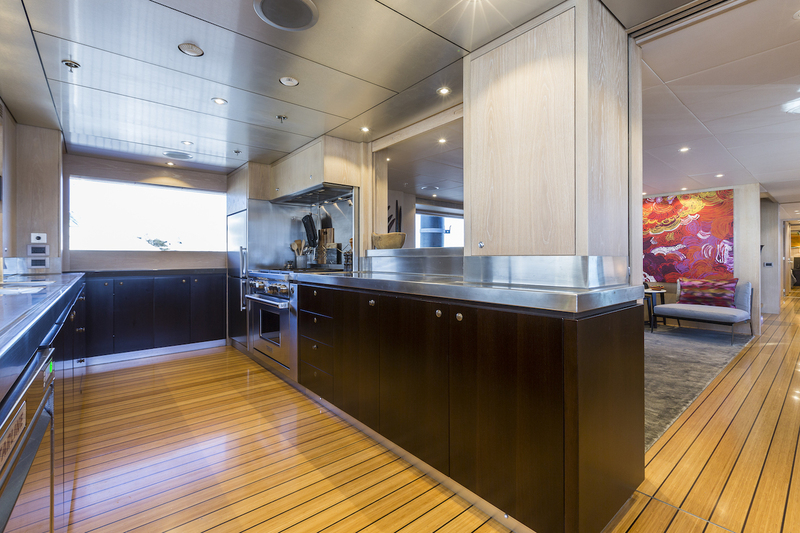 Meals can be served directly to the interior or exterior servery bars forward and aft of the galley. A Teppanyaki bar is located on the fly bridge. Dive equipment and compressor are located in the lazarette. 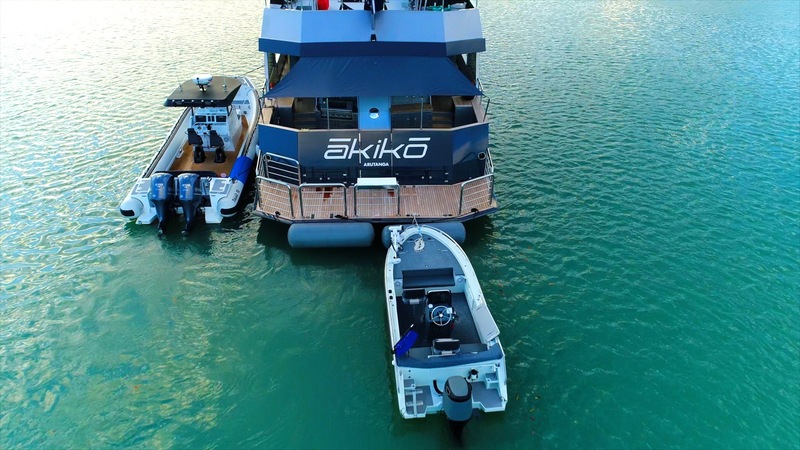 AKIKO is fitted with active roll stabilisers and carries 34000 litres of fuel. 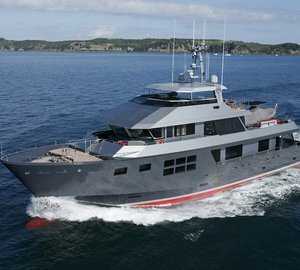 She cruises at 11 knots and has an extended range of 4300 nautical miles. Outside docking stations are located on her port and starboard bridge wings and a further station aft on the bridge deck. Fresh water storage capacity is 7,000 litres and is supplied by two water makers, which produce 13000 litres per day. Two tenders are stored on the bridge deck aft. 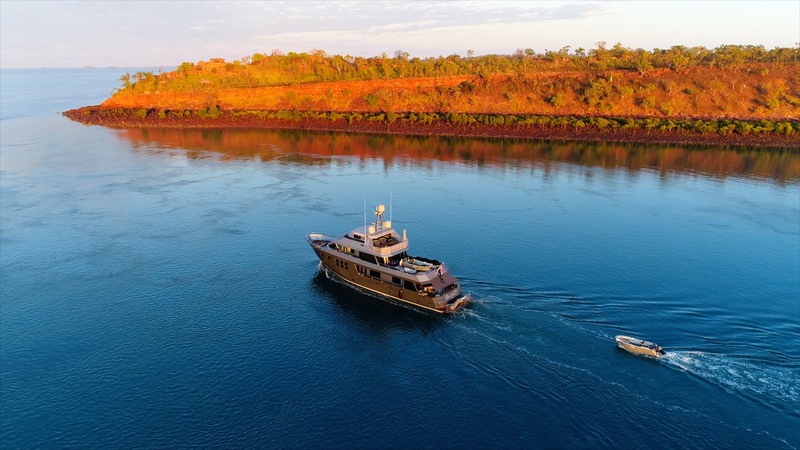 One of these is 6.5 metres and powered by a 150hp outboard. Both tenders are launched from the bridge deck by the ships hydraulic crane. 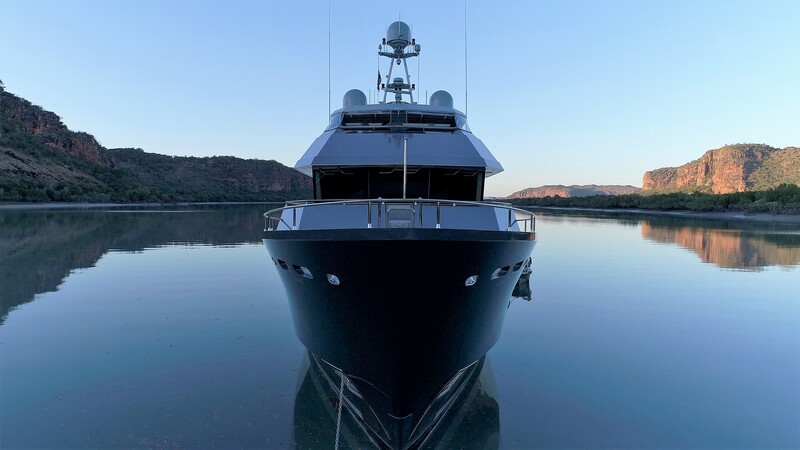 Motor yacht AKIKO was built in aluminium and designed by Gregory C Marshall Naval Architects. 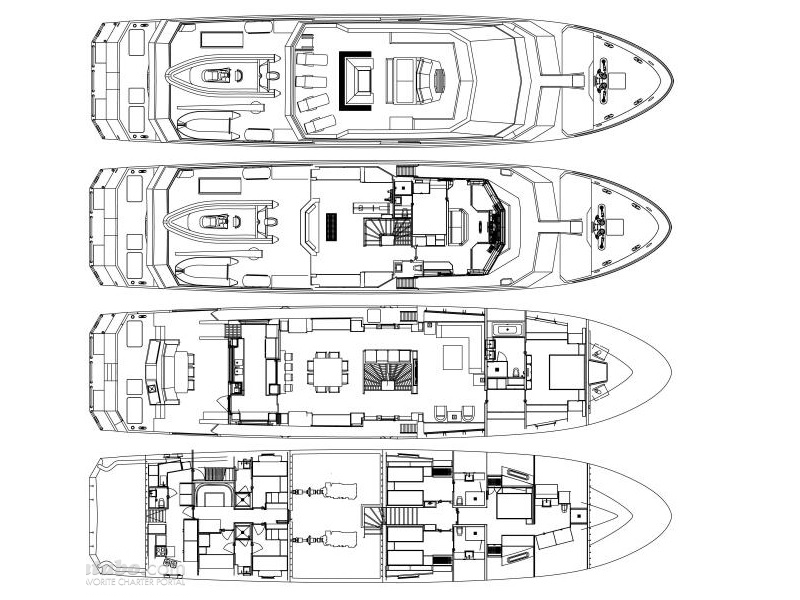 She has a 7.78 m (25.5 ft) beam, draft 2.23m (7.3 ft) and displaces 190 tonnes. 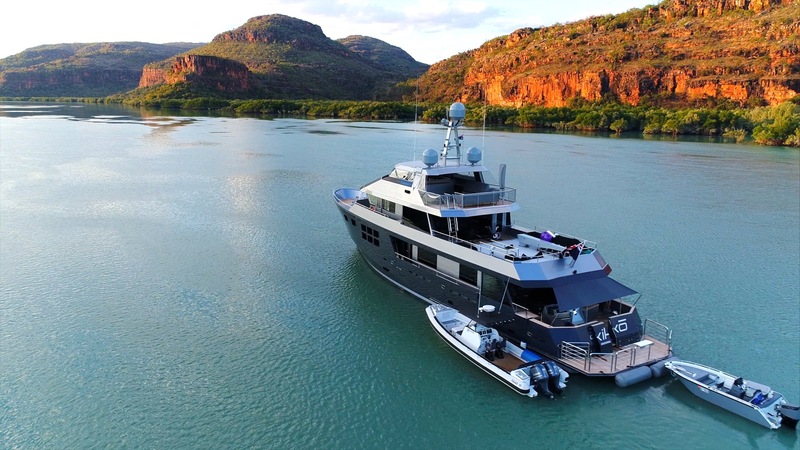 The yacht is powered by two Caterpillar engines each 475 hp (354 kw). 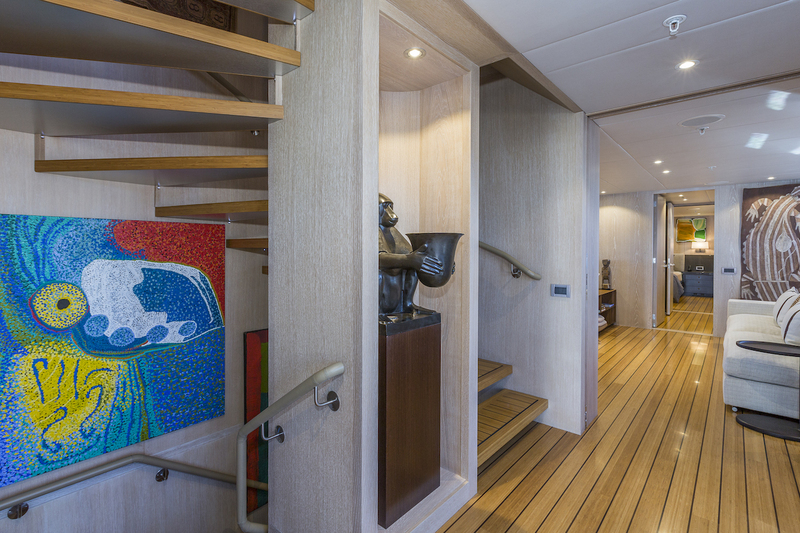 Two Caterpillar 51kw generators operate the ship’s onboard systems. 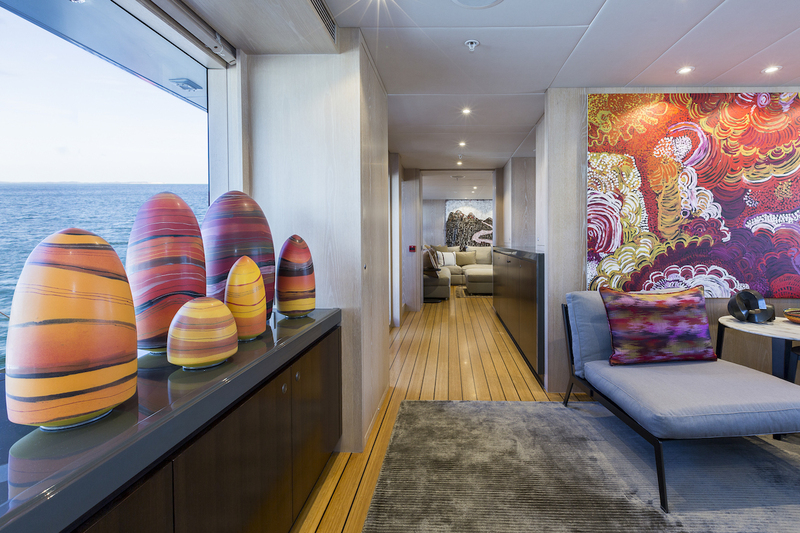 The interior design has been developed by the owners, Gregory C Marshall and Alloy Yachts design office. 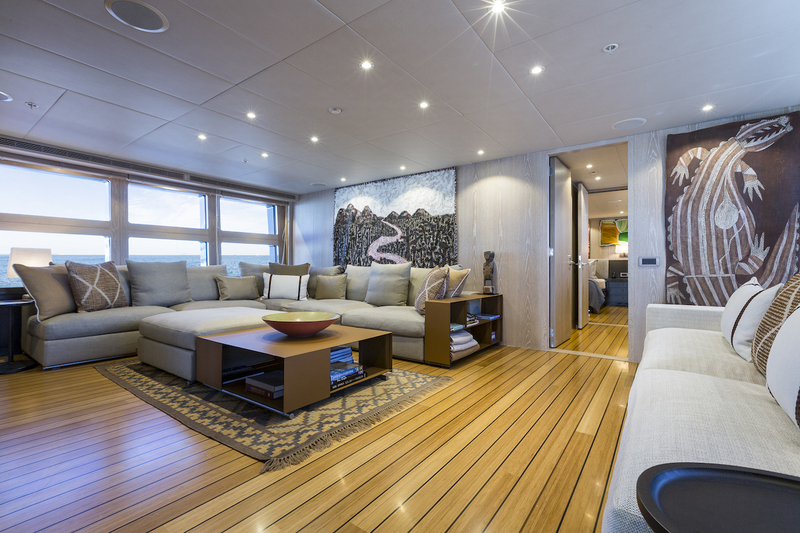 AKIKO has luxurious accommodation for up to 10 guests and 6 crew. 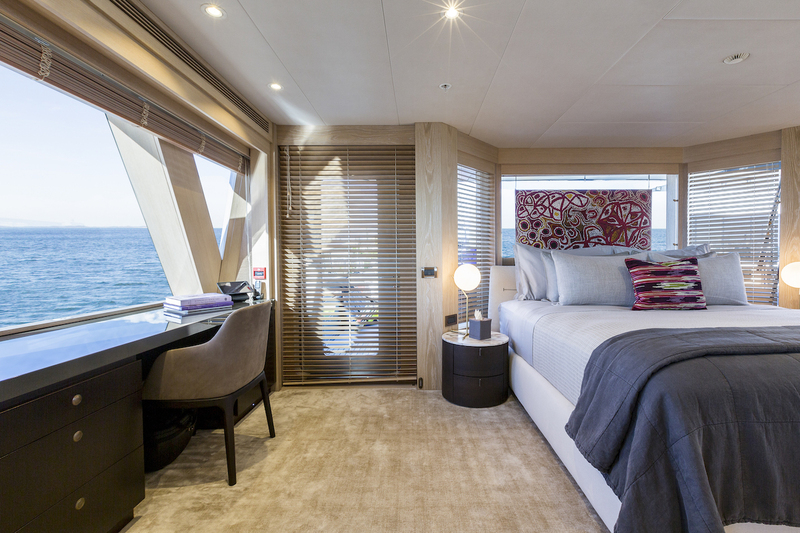 AKIKO’s accommodation includes a master suite on the bridge deck, 1 VIP cabin on the main deck and three guest cabins forward on the lower deck, all with en-suites.